Differential shaft friction washers are used between differential chucks on rewind shafts. 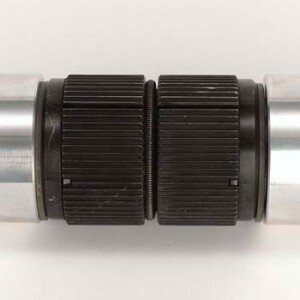 Most types of differential shaft systems rely on friction transferring a controlled torque from the rewind shaft to the core chucks holding the rolls of material on a slitter. 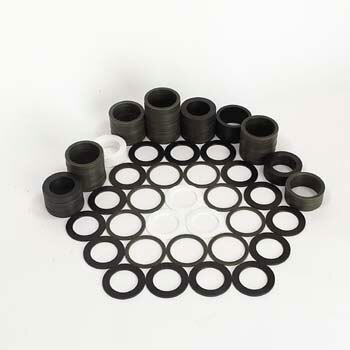 Older systems use oiled felt washers which need frequent replacement and re-oiling. These can now be replaced with longer lasting plastic washers with known friction characteristics. The higher the friction of the washer, the greater the tension that can be achieved. As different materials require different winding tensions, we now have a range of washer types to suit all materials. The major advantages of plastic washers are improved tension control, longer life, higher running speeds and freedom from oil contamination. In addition, as the washers do not compress, unlike felt washers, the core position does not change as the amount of side loading force on the differential shaft increases. The ultimate benefit of using plastic washers is higher productivity, consistent quality and no material contamination. When ordering washers, please specify the inside and outside diameters of your existing washers. If this information isn’t available, please specify the diameter of your rewind shaft and the diameter of your differential chucks. 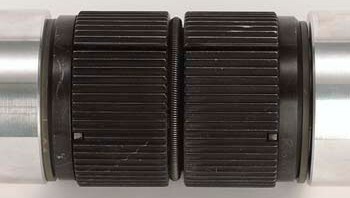 Also available are thrust bearings, differential chucks and tag washers.